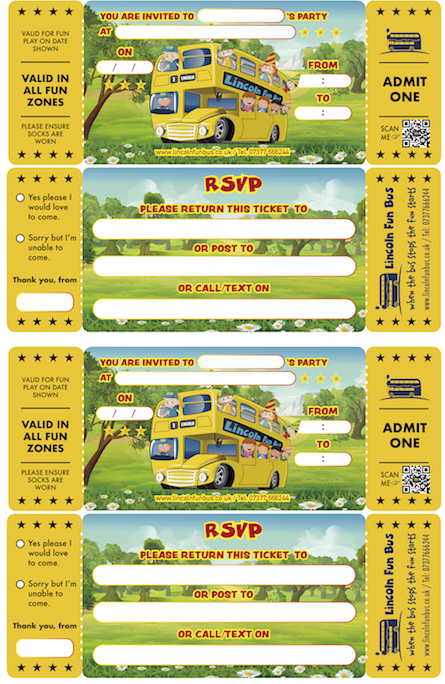 Here at Lincoln Fun Bus we have designed party packages for every budget. 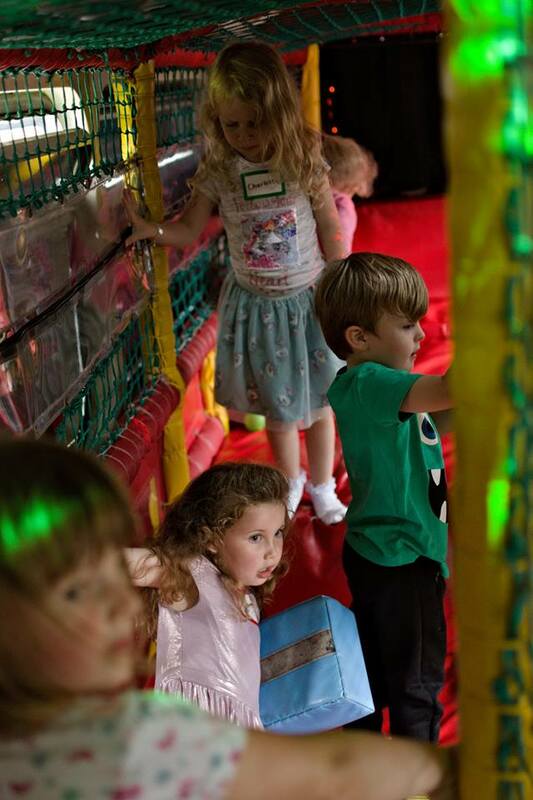 Our unique and exclusive parties offer your child and their friends an experience they won't forget. 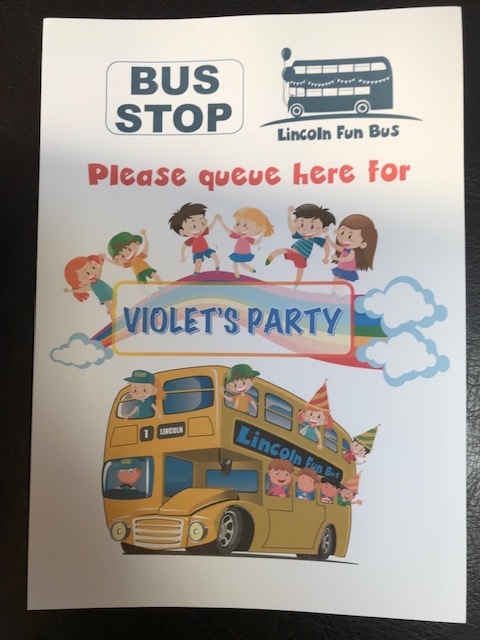 So.... wait at the personalised bus stop...and have your tickets ready for our conductor to inspect, then hop aboard Lincoln's only Double Decker Play Bus. 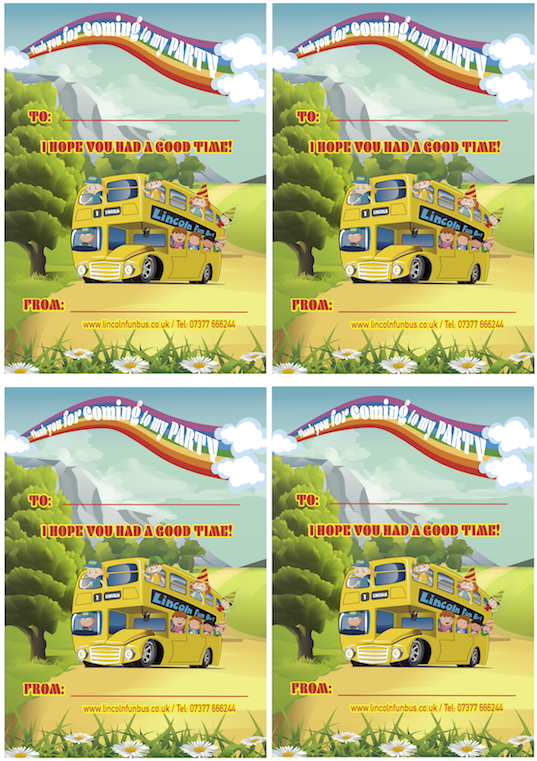 After all, "When the bus stops, the fun starts". We offer the following time slots for weekend parties, although we may need to amend these occasionally due to operational requirements. Please Note: For those parties outside of the free delivery area, start times during the winter months will be from 11am to allow for any possible inclement weather conditions and additional travel time. Whichever party package you choose, you're guaranteed a unique party experience that your child and their friends will enjoy. 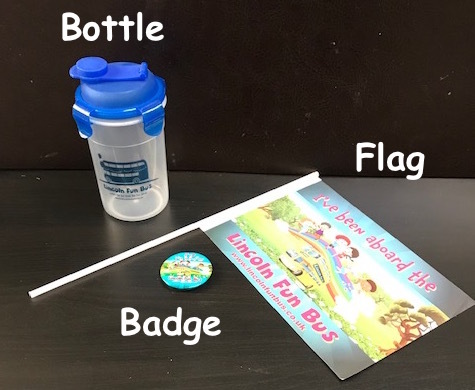 Drinks Bottle, Flag & Badge for every child. • Bus Driver and Conductor to assist at your party. • Includes one and a half hours of soft play on the bus. 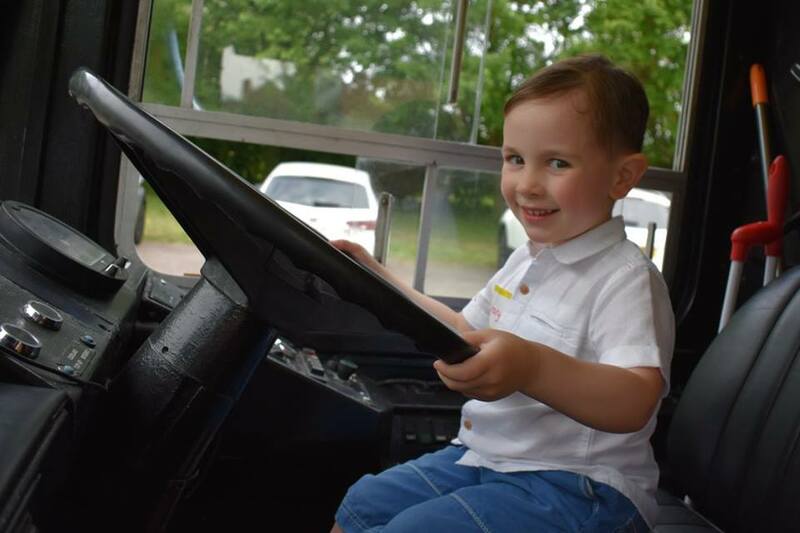 • The Birthday boy/girl can sit in the Driver’s seat for an exclusive photo opportunity!! 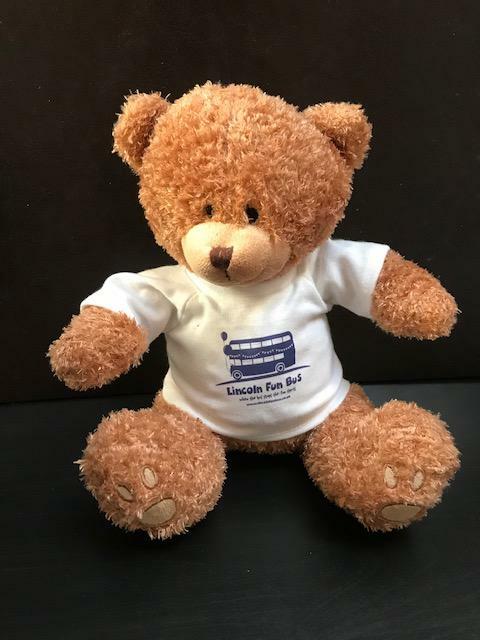 The Lincoln Fun Bus Bear & Cake are also available to purchase separately. 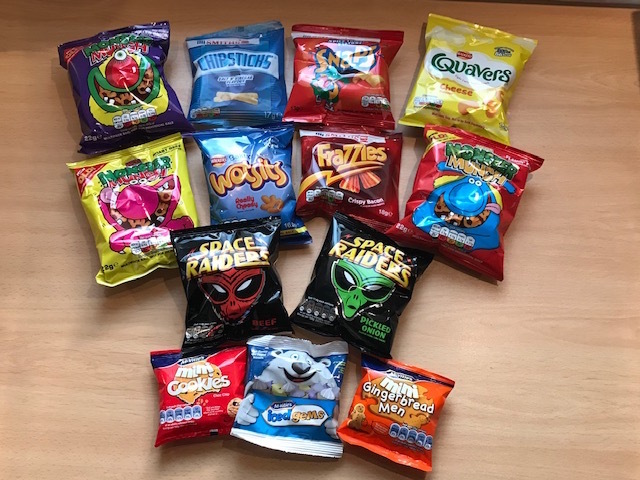 Whether it's a family event you're having; wedding /christening or a corporate event; fun day/children's day or if you're organising a public event; fete/festival/gala etc. 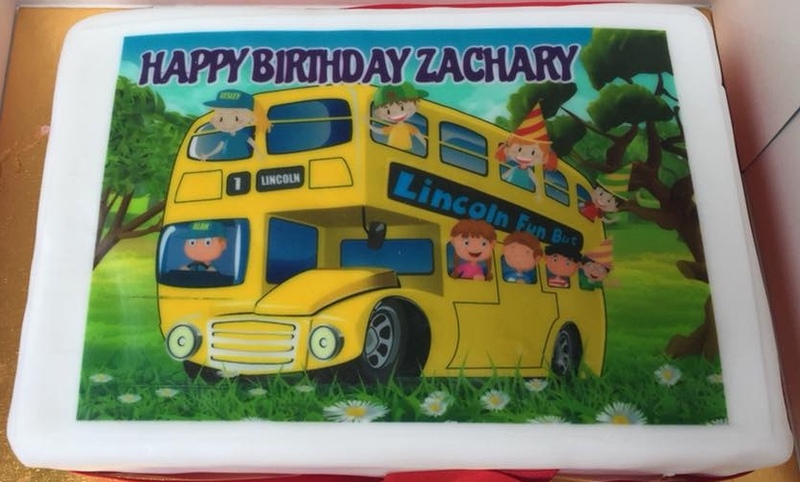 then we can bring Lincoln Fun Bus to you to keep the little ones busy. Prices start from £200 for 2 hours (depending on the distance from our base). If you have any special requirements we will do our best to accommodate them, just ask!